Here is a large 37mm. stainless steel 1966 OMEGA with an original dial, hands, large steel case and OMEGA winding crown. 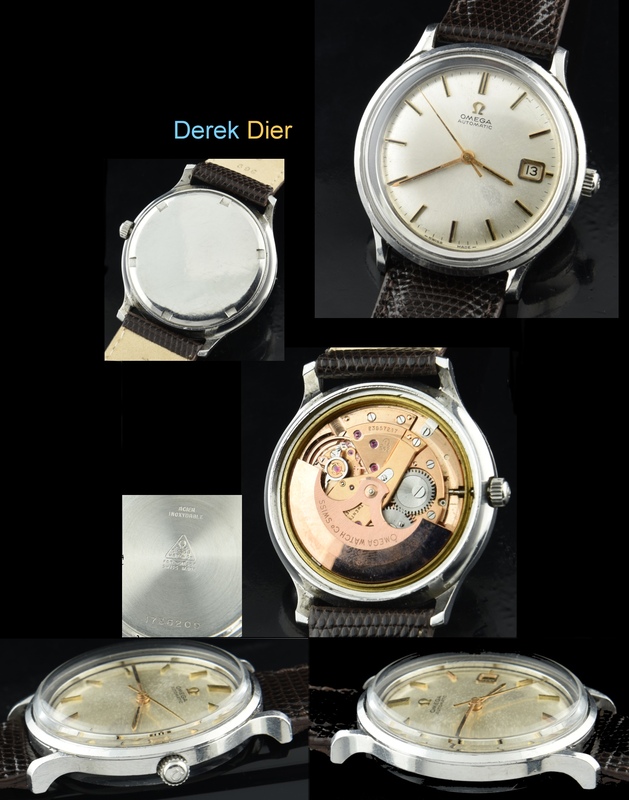 The automatic OMEGA caliber 542 movement was cleaned and is accurate. 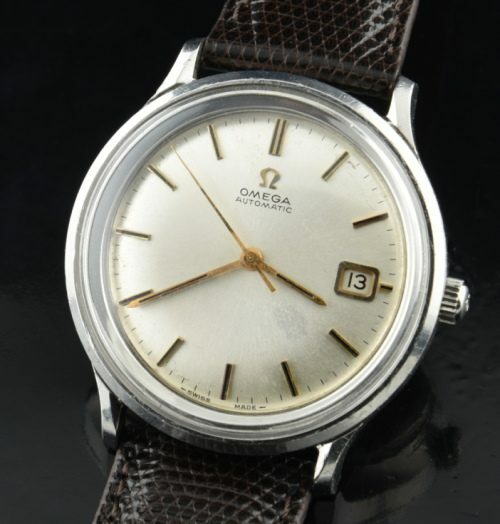 This vintage OMEGA watch watch has an “all dial” appearance and looks awesome on the wrist. In person, this dial looks much cleaner and the aging is subtle. It is becoming difficult to find these large OMEGAS these days-grab this while you can a great price.